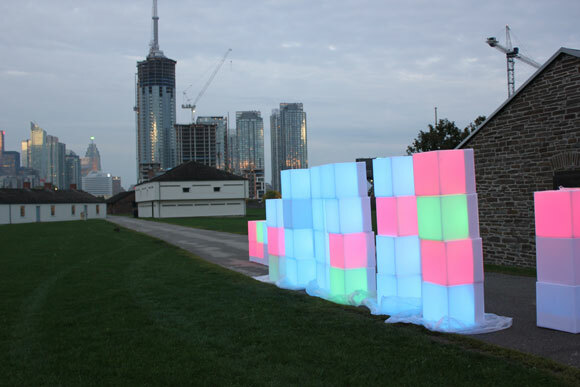 From sundown to sunrise on October 1, 2011, Dashing Collective and Aesthetec presented a field of light at the Fort York Historic site as part of the popular annual art event ScotiaBank Nuit Blanche in Toronto. 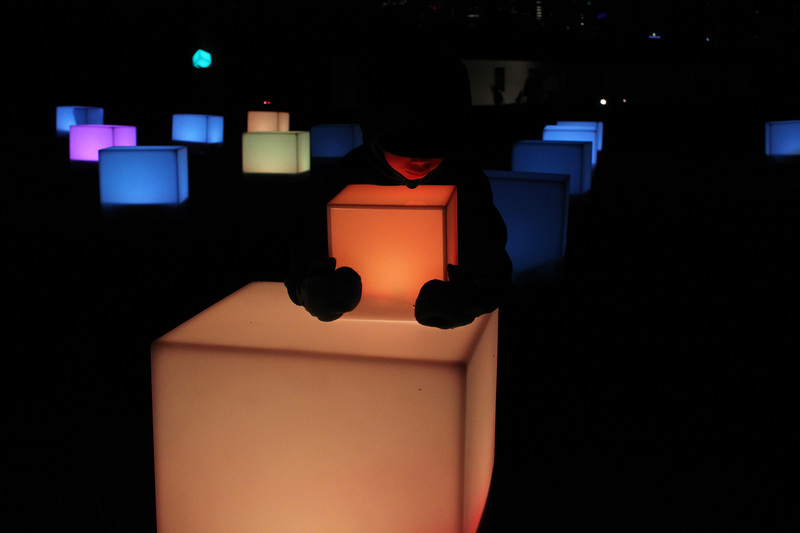 SMILE, short for Socially Motivated Immersive Light Environment, is an interactive light installation consisting of illuminated cubes positioned in a hexagonal grid that form a lightscape in the park. Light patterns change as participants move small control nodes around the field, and evolve organically as the nodes come together. 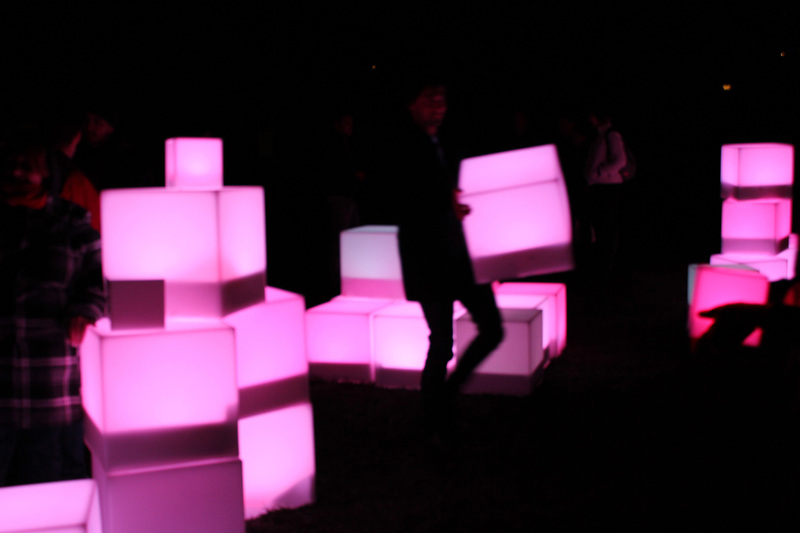 Designed specifically with outdoor spaces in mind, the light cubes and control nodes are battery-powered and communicate to each other wirelessly using a mesh network. 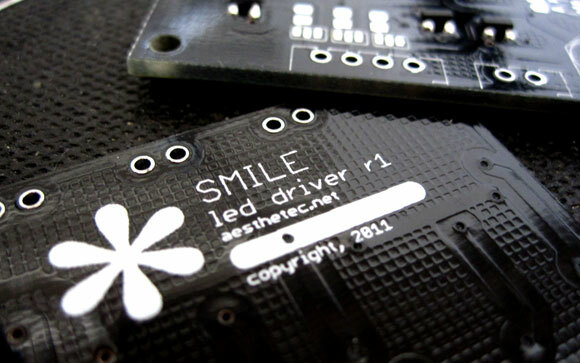 Aesthetec created all customized circuits for both lighting control and communication. Circuits were assembled and programmed in-house. Dashing designed the enclosures so that our circuits are protected from the elements come rain, wind, or even snow. 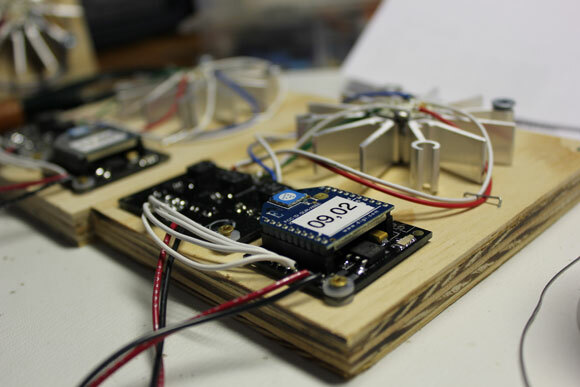 Each light unit consists of a main controller circuit board, an Xbee radio for communication, an 3 channel LED driver board, a high-brightness star configuration RGB LED and a powerful battery that will allow it to run all night. 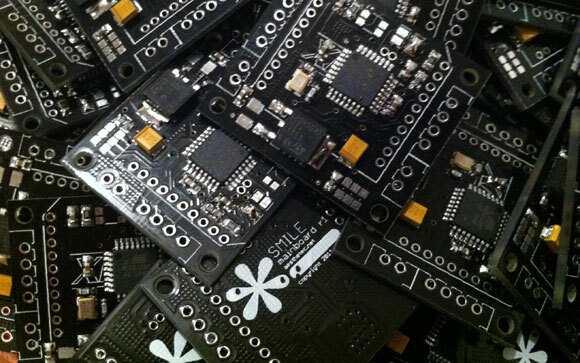 The lights communicate to each other wirelessly over their Xbee radios to synchronize their pattern. 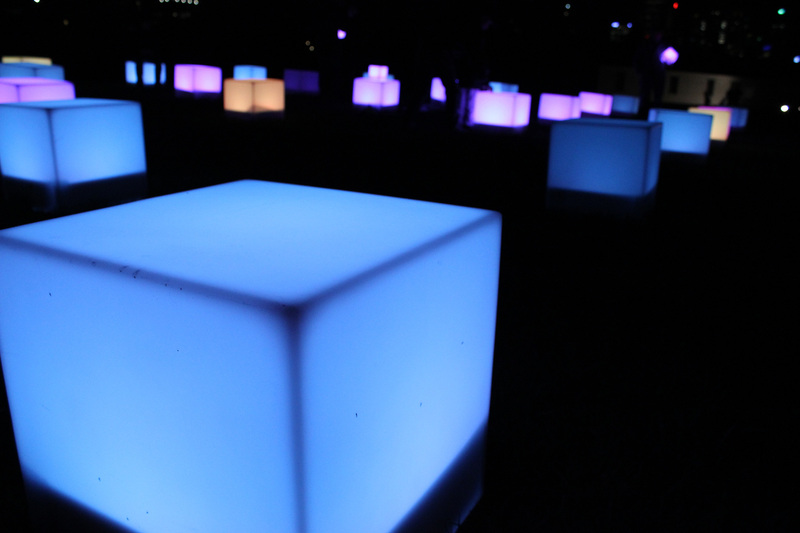 As the control node travels around in the field of light cubes, the node broadcasts a message that contains its color pattern. Cubes that are close to this control node will hear that message and change their light pattern accordingly. Control nodes also detect each other and adjust their behaviour based on each others proximity. To allow us to update the system on-the-fly, we added the ability to wirelessly program the firmware of each device from a laptop. 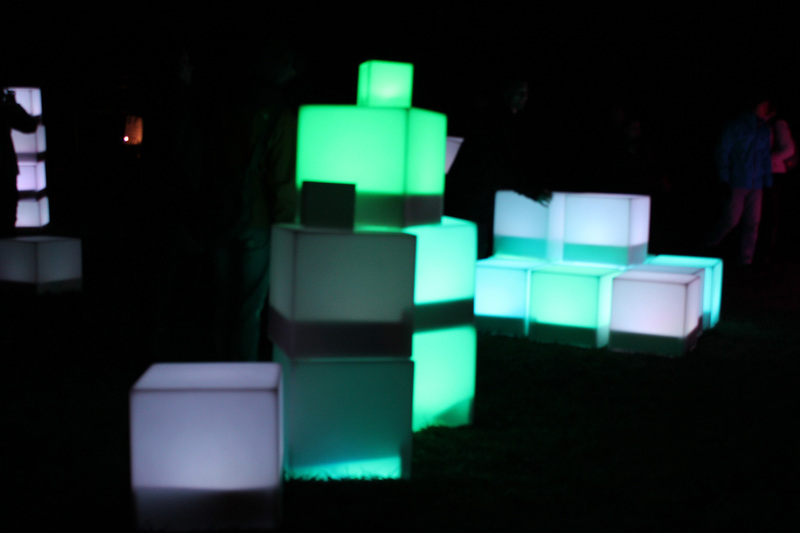 The participants carry control nodes held in small glowing cubes. 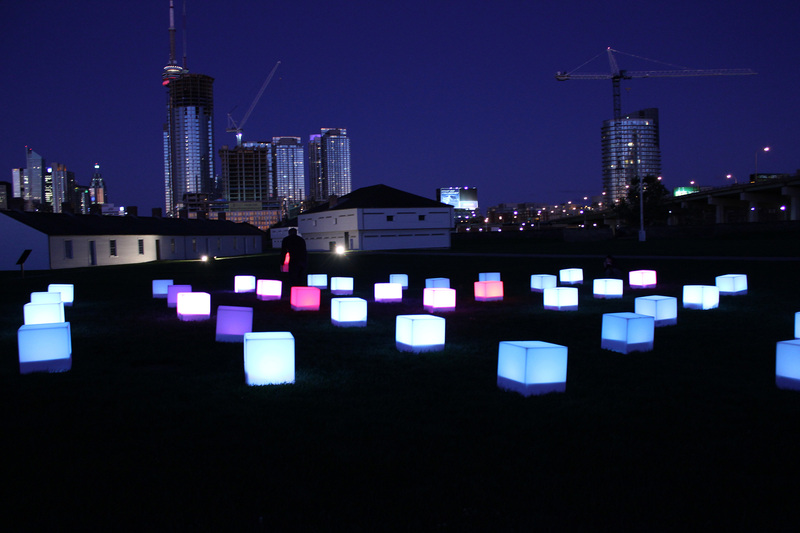 As they move through the space the cubes in the field react to their presence by changing colour. 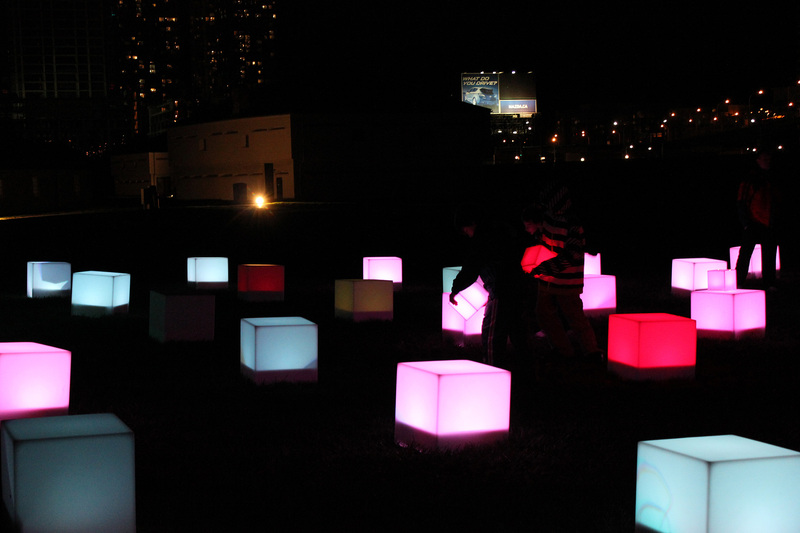 When multiple participants come together, their nodes recognize their presence and new colour patterns emerge, painting the field of cubes anew.